The BCW Pro 3-Pocket Currency page is an acid free, archival quality product that is perfect for storing 3 1/2 x 8 currency. This product features high clarity and top loading pockets with strong welds. 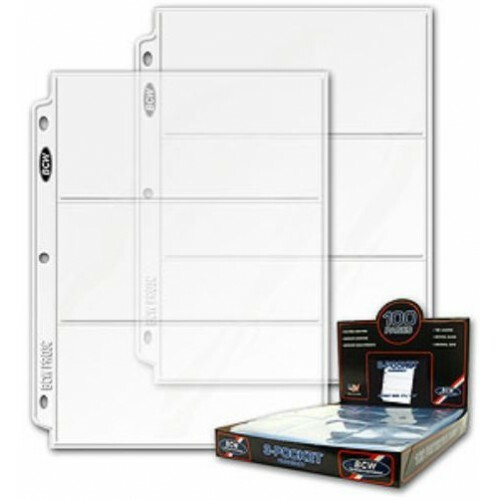 BCW Pro 3-Pocket pages fit all standard 3-ring binders and albums. Use the 3 pocket page to protect, store or display your currency. Do you have any questions about Lot of 25 BCW 3-Pocket Currency Album Pages dollar bill?